Green Tea Extract – Does It Work? The catechins of green tea are up there with the healthiest molecules you can ingest. The most effective of the four catechin molecules is EGCG (epigallocatechin gallate) and is usually the one mentioned in terms of its inclusion weight of the total green tea extract dose. Regardless of what your health goal is, there is good reason to have this ingredient in your supplement as a stand-alone or as part of an all-in-one stack. Isolated EGCG is available, though all the benefits of the anti-cancer effects may only be realized with a total green tea extract. Up to 500mg to 600mg per day split into 3 or 4 doses would be recommended. There really is a huge list, but the one you are likely most interested in is fat reduction/weight loss. Numerous studies have been conducted involving human subjects and there is indeed a fat reducing effect, albeit not quite as potent as other ingredients, or the claims made by some companies. The fat burning effect of green tea is dependent on the subject having a low tolerance for caffeine. People who habitually drink coffee will therefore not get as profound an effect. Rather than cite many studies, the results of a meta-anlysis of several studies found that weight loss – particularly fat loss – and waist circumference were significantly reduced after 12 weeks of green tea supplementation. Insulin is one of the most important hormones. It is responsible for taking taking sugar out of the blood stream and storing it as energy. Low insulin sensitivity as a result of eating too many high glycemic foods which spike your blood sugar levels results in the sugar being stored in fat cells rather than muscle cells for energy. Further down the road, this can lead to Type II Diabetes. Increasing insulin sensitivity therefore helps with weight management and prevents diabetes, not to mention reduce fatigue and improve muscle growth and energy levels. Finally, let’s look at skin quality…just because. Blood flow to the skin and photoprotection (molecular damage sunlight) from were both increased; blood flow within half an hour of dosage during one study with women aged between 40 and 65 years old. 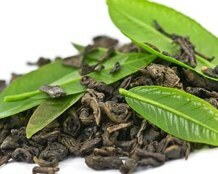 This article doesn’t even scratch the surface of the potential health benefits of green tea. It is important to remember though, that to get the optimal fat loss effect you must stay away from habitual caffeine intake from coffee. Also, while green tea is a great source of catechins, it would be difficult to consume an effective amount through drinking the tea alone. Look for a product which combines it with other synergistic ingredients for an all-round supplement stack. We recommend Instant Knockout as it contains a 500mg dose of green tea extract split into 4 pills for the day. 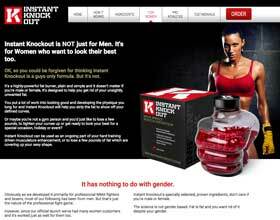 It may look extreme, but rest assured it is great for both women and men.